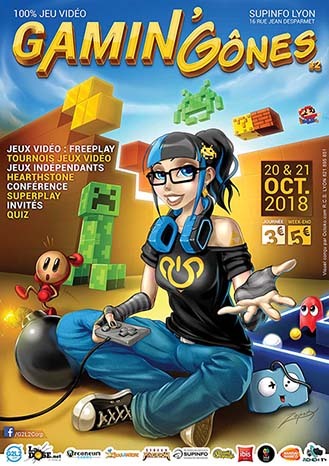 Join us at the GAMIN’GÔNE event on Saturday 20th of October to enjoy the best of video game in Lyon! This event is organized by G2L2corp in partnership with LaDOSE.net and Arcaneum to offer you a 2nd edition of the Gamin’Gônes which promises to be fantastic! The Gamin’Gônes is 500m² dedicated 100% to the local entertainment industry! Beyond the Void booth will be in the Independant game space with other 7 independant games from Lyon!